W. Edwards Deming offered 14 key principles for management to follow for significantly improving the effectiveness of a business or organization. Many of the principles are philosophical. Others are more programmatic. All are transformative in nature. The points were first presented in his book Out of the Crisis. Below is the condensation of the 14 Points for Management as they appeared in the book. 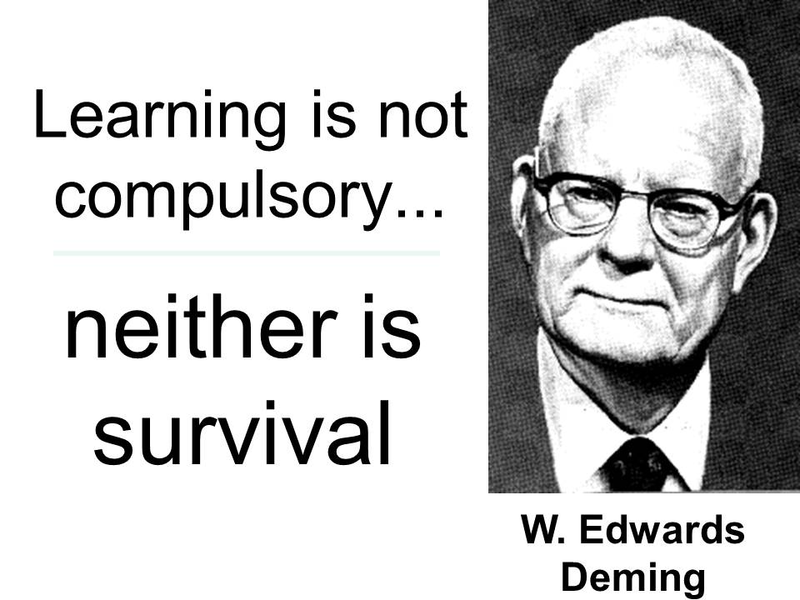 I feel that Deming’s message is a relevant today as when he first developed them years ago.